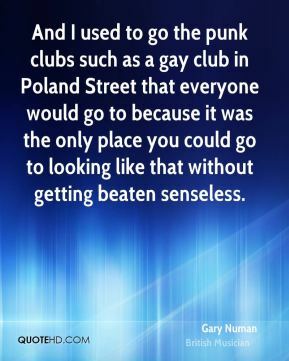 And I used to go the punk clubs such as a gay club in Poland Street that everyone would go to because it was the only place you could go to looking like that without getting beaten senseless. 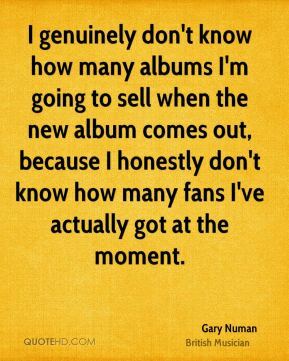 I genuinely don't know how many albums I'm going to sell when the new album comes out, because I honestly don't know how many fans I've actually got at the moment. 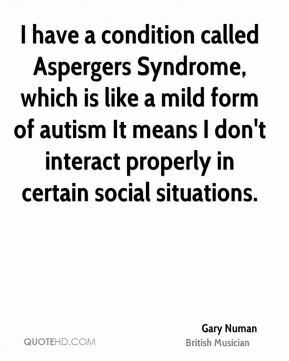 I have a condition called Aspergers Syndrome, which is like a mild form of autism It means I don't interact properly in certain social situations. 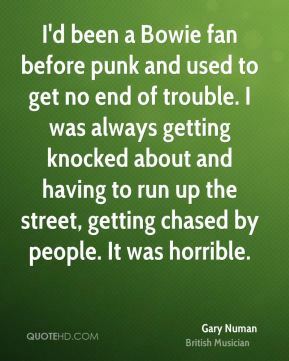 I'd been a Bowie fan before punk and used to get no end of trouble. I was always getting knocked about and having to run up the street, getting chased by people. It was horrible. 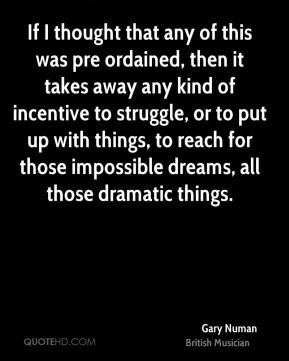 If I thought that any of this was pre ordained, then it takes away any kind of incentive to struggle, or to put up with things, to reach for those impossible dreams, all those dramatic things. 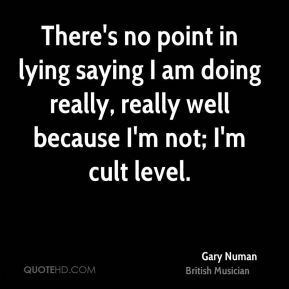 There's no point in lying saying I am doing really, really well because I'm not; I'm cult level. 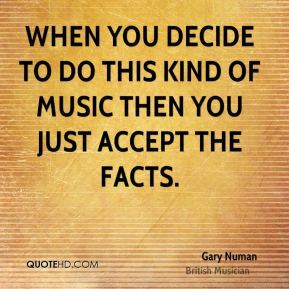 When you decide to do this kind of music then you just accept the facts.